The French manicure is always in-demand. It’s a simple look that radiates sophistication. But how do you make sure that your client’s French nails stand out? Well, Natali Products has the answer for you — Star Nail Ultra White Acrylic Powder! With the Ultra White acrylic powder, you’d be able to craft pearly-white acrylic nail tips. Yes, as if your client’s fashion nails are made of the whitest jewels from the sea. Produce strong and durable nail enhancements when you mix Ultra White with Star Nail’s monomer liquid, available in 118ml (NL2687) and 237ml (NL2688). Using a state-of-the-art technology with patented optical enhancers, Star Nail delivers super refined, micro-sized acrylic powder. But the most important? 100% client satisfaction! Also, for an affordable price, equipped with convenience, try the Star Nail Ultra Clear Acrylic Kit (NL2681). You’d get everything you need to make professional acrylic nails in one box. So be ready to fill up your appointment book, because your nail salon will be the talk of the town — well, at least among the fashionistas! 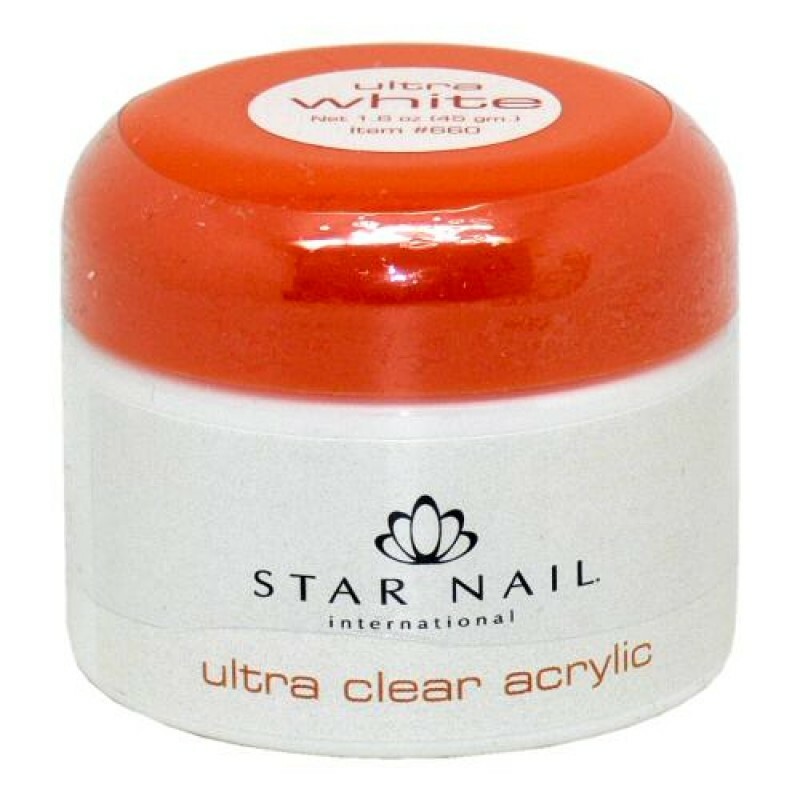 Complete your manicure supplies when you buy the Star Nail Ultra White Acrylic Powder from Natali Products today! Check out our wide selection of beauty and nail supplies, as well as our high-quality professional skincare lines.